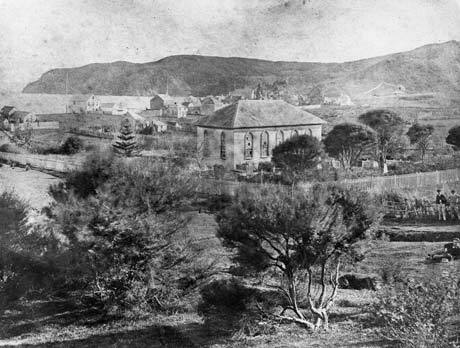 This photograph of Christ Church (centre) was taken in the mid-19th century. Built in 1836, it survives today, but in a different form after architectural modifications in 1871. It is one of the oldest churches in New Zealand, and the grounds contain the graves of some prominent people, including the Ngāpuhi chief Tāmati Wāka Nene.